The EAA, organizer of Oshkosh, reports about their plans to hold the world’s largest and probably final DC-3 meet on their premises next year. “…. 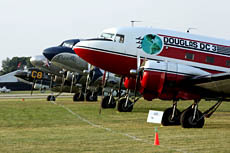 What could be the largest Douglas DC-3/C-47 gathering in more than 60 years will be a centerpiece of the aviation activities at EAA AirVenture 2010, “The World’s Greatest Aviation Celebration,” July 26-August 1 at Wittman Regional Airport in Oshkosh. EAA is working with a large group of owners and operators of the venerable aircraft, which commemorates its 75th anniversary in 2010, to bring their airplanes and join the reunion at Oshkosh. The event is being organized under the theme “The Last Time…” as it likely will be the final time that more than 25 of these airplanes will be seen together, including formation flights. 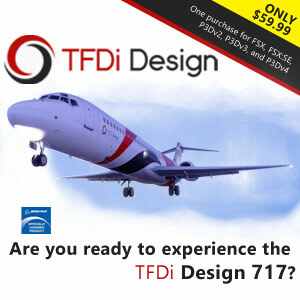 It will also mark the final major reunion for scores of pilots, flight attendants, mechanics, crew chiefs and passengers that flew, operated and traveled in these aircraft….”. Read the full article at the EAA web site here. I had the great opportunity of visiting a DC3 conversion factory on that field. Really impressive. They put higher powered engines on the birds, and extend them about 5 feet. After all these years, it’s still a workhorse!